With over 28 years of experience, award winning Sally, Louise and Abbie are the ideal team to make your wedding and venue flowers just perfect. 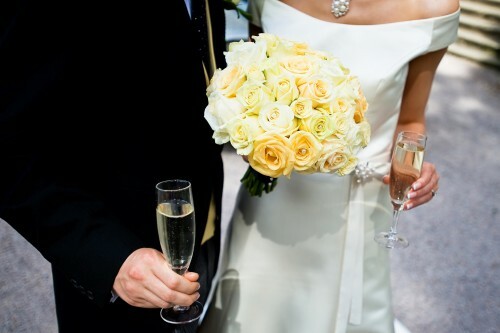 Whether you want simple vases or more ornate arrangements to fill the marquee or reception. From natural hand tied bouquets, shower or teardrop and modern minimalistic bouquets to buttonholes & corsages we have a vast selection for you to choose from. Alternatively we can design your own unique creation. Are there any colours that ought to be included? Swatches of material are ideal, alternatively a photograph. “It maybe that the reception room has a very strong colour scheme which need to be considered”. What age are the bridesmaids? How tall are they? Are there any other attendants to think about? Page boys or matron of honour? How large is it? What is the lighting like? 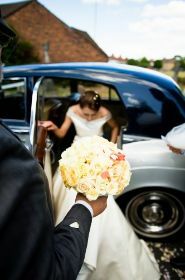 If the wedding will be celebrated in church, synagogue, mosque, temple or a civil ceremony at the main venue, are there any particular customs or requirements which the florist should know about? How large is the room or marquee? Do you want table arrangements - and, if so, how many? What is the background like - what colour and what material? Do you want any arrangements for the car? Obviously you can’t be expected to have an exact figure prepared but just a rough ideal of a ballpark figure will help us suggest appropriate styles, types and quantities for flowers. Flowers also make an ideal ‘thank-you ‘gift - to bridesmaids, mothers and others who have helped you with all the planning and organisation that goes into your wedding. You can arrange before the big day and to have them delivered to your wedding venue. We hope this helps you to plan the flowers for your day and look forward to hearing from you.